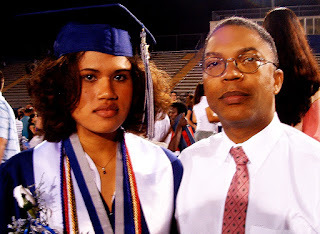 Orion helps both father and daughter find civilian careers...Sixteen years apart! How often can the members of a company say that they have helped generations of family veterans find their civilian careers? Orion is proud to say that we have! In 1999, before Dwayne Williams exited the Army, he was introduced to an Orion recruiter at a TAP class. Little did he know that this single connection would lead to his daughter finding her own civilian career sixteen years later. After leaving the military, Dwayne landed his first civilian job through Orion in 2000, as a Production Supervisor with Office Depot. After some time in his first role, Dwayne used Orion again to find a new position. Nearly sixteen years after his first experience with Orion, Dwayne referred his daughter, Andrea Salas to use Orion as she prepared to transition from four years in the Army. Andrea began her job search in January of this year, and contacted Orion while she was still deployed. She began working with a Recruiter and soon learned about a great opportunity with Google. She is now a Field Operations Specialist working on Project Maps with Google, and Andrea is enjoying her new position. According to Andrea,"The Orion team was great -- all of my questions were answered, and I was coached and mentored throughout the interview process, which led to a job offer. I am so happy with the outcome, and very glad my dad mentioned Orion." At Orion, we are so honored to have had the opportunity to help both Dwayne and Andrea find rewarding careers, and we look forward to continuing to provide career assistance to future generations of transitioning military personnel! Orion International is currently seeking transitioning or former military officers with a strong record of achievement to join our Sales Team as an Account Executive. We are hiring for our Virginia Beach, VA; Cincinnati, OH; and San Diego, CA offices. As an Account Executive, you will be responsible for identifying and working closely with America's leading companies in order for them to hire transitioning military veterans and develop smarter hiring programs. The work you do will help fellow veterans transition into the civilian workforce. Average total first year income for Account Executives is $80K+, with a goal of $100K+ in your second year and beyond. In addition to unlimited salary potential and a comprehensive benefits package, Orion provides additional reward and recognition to our top performers. To qualify, you should have military experience, a Bachelors degree, and previous sales experience or a desire to succeed in sales. You do not need prior sales experience, as we will provide you the training, tools and resources needed to succeed. Learn more about joining the Orion team. We also invite you to view a pre-recorded webinar (username: iprep, password: video) hosted by Brian Henry, Orion's VP of Officer Recruiting, which provides a detailed overview of the Account Executive position.